I never liked Hot Pot restaurants. That's the god's honest truth. Not so much because of the food, but because of my previous experiences. You see, when I the "Executive Assistant" of my boss who happened to be the owner of the company I worked for, he would love to hold meetings at this popular Hot Pot restaurant along Jupiter. Whenever people would tell him it would be better to eat somewhere else so they don't need to cook their own food, he would just reply, "Don't worry, Richie is there". Meaning everyone would grab slabs of meat, and it was my job was to cook it for them. They ate, while I cooked. By the time my boss and his guests were done eating, I had to settle for the cooked ala carte items in their limited buffet. 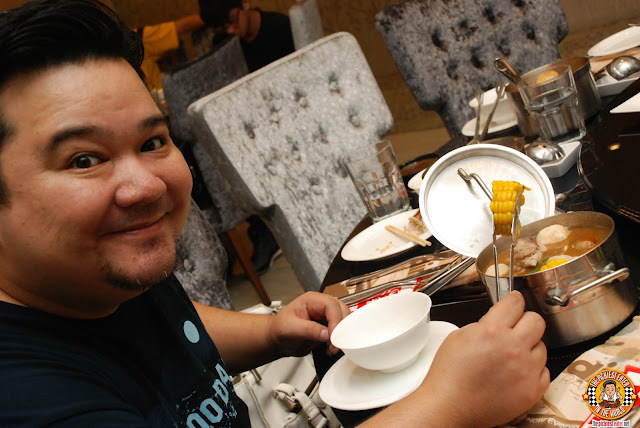 In fairness, the food was good, but I always associated Hot Pot restaurants with those infuriating experiences. All those bad memories were erased when I visited Four Seasons Buffet and Hotpot in Cubao, giving me a new perspective to what a real hot pot experience should be. A few months back, Yabu released two dishes that Chef Lee Jose has been teasing me about for quite some time now.. Their Katsu Burgers. So being a huge fan of Yabu and Burgers, it was a no brainer that I trooped to the nearest Yabu to try the Hire Katsu Burger, which I ended up loving. The gorgeous flavor of Katsu that Yabu has become famous for was still highly evident in the Katsu "Patty", and the toppings, such as Onion Jam and Tonkatsu Sauce ensure that it still had a distinct Japanese Flavor. I absolutely loved it and annihilated my burger within minutes. But regardless of how much I enjoyed it, I couldn't help but wonder how delicious it would be if they used the Cheese-infused Menchi Katsu instead. Well guess what? 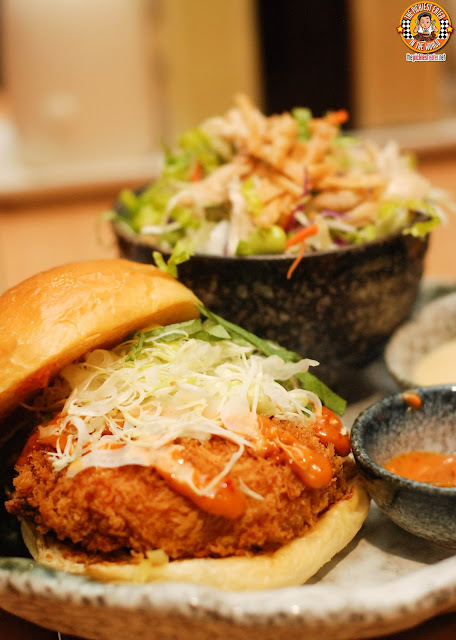 Wonder no more, because Yabu has finally answered my prayers (I think my hundreds of emails finally drove them crazy), and you can now get the Menchi Katsu Burger!! Now that I'm trying to lose weight: (Key word, TRYING), I've been on the lookout for food options that are- not necessarily "Healthy", but definitely healthier than my usual fatty pork laden fare. Now the challenge here is finding food where the healthy benefits come in the form of delicious dishes- something that doesn't taste like "Diet Food". 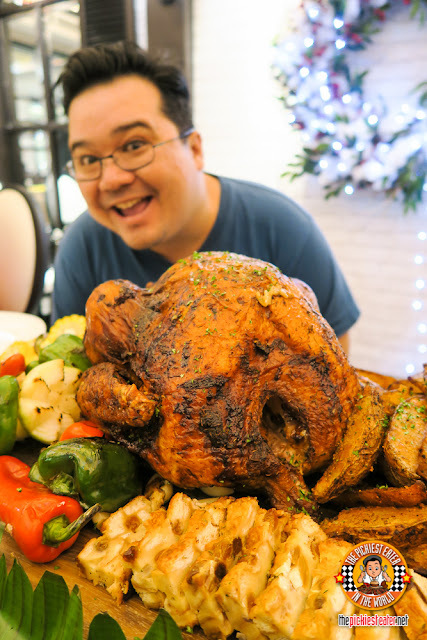 Discovering Poulet Manille at SM Aura Premier was very timely for me, as it gave me a great alternative when i'm looking to go easy on greasy food for a change. I dropped by Ippudo in SM Fashion Hall last week with some of my buddies from The KTG to check out the newest addition to their Menu. I was rather taken aback because it has only been a few months since I was last there, and there are already so many additions to the menu that I missed out on! 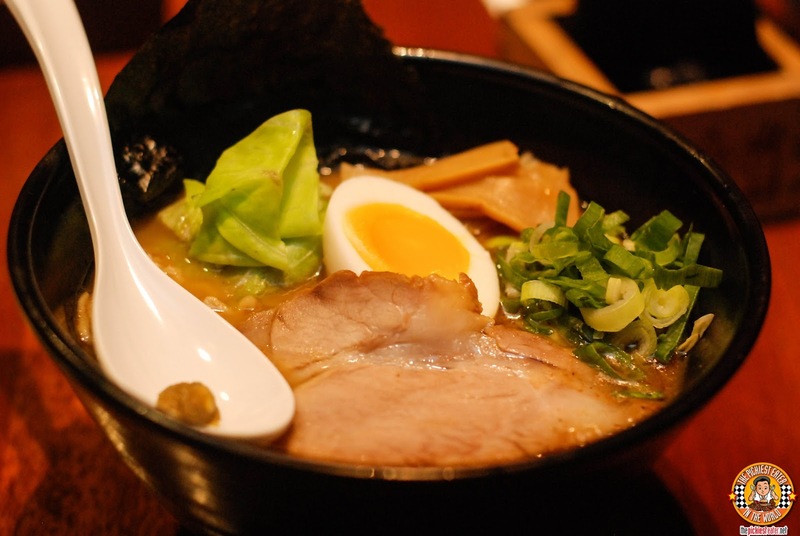 So what better time to do a little catching up than now, especially since they released a brand new signature Ramen dish, the Gyokai Tonkotsu! 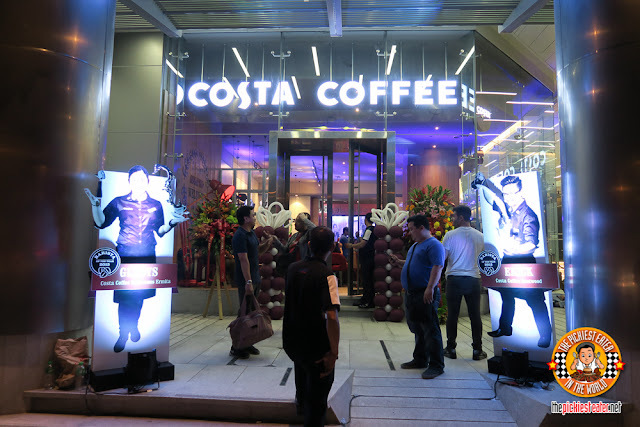 Unlike other Coffee chains, Costa Coffee uses just one coffee blend which is the Mocha Italia. 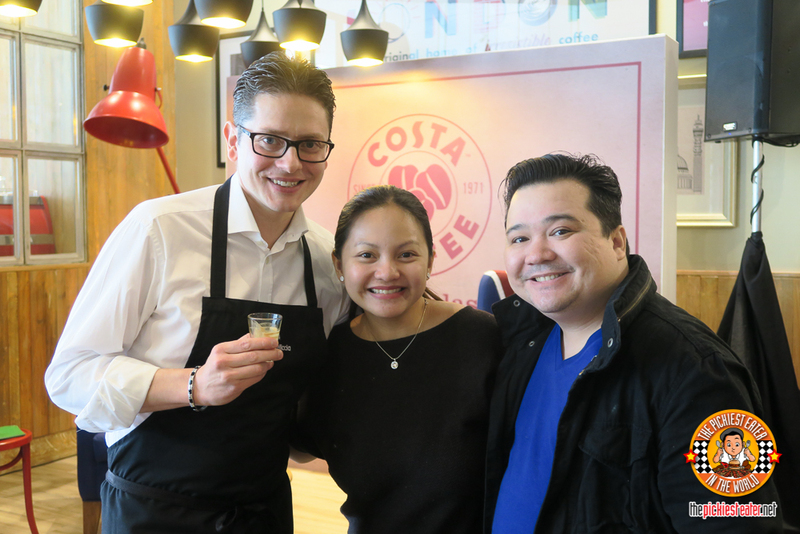 It is an original secret blend that the Costa Brothers made which led them to be the top Coffee chain in London, and now they are taking over the world. What makes it great is the perfect balance of acidity and sweetness. 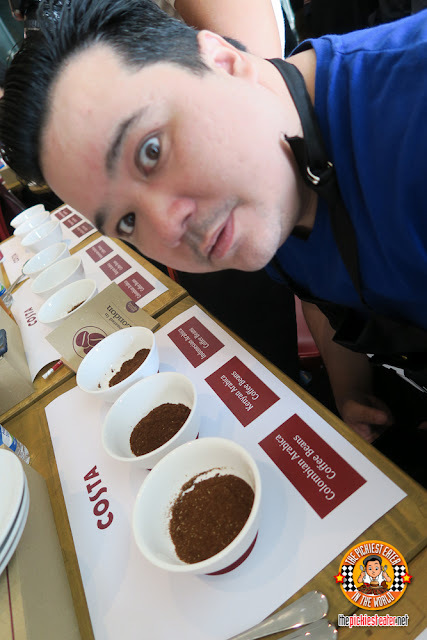 So all of Costa's coffee-based drinks are made from their famous Mocha Italia. And it has been Master Gennaro Pellicca's job to make sure that this exclusive recipe is consistent as it was since 1971. 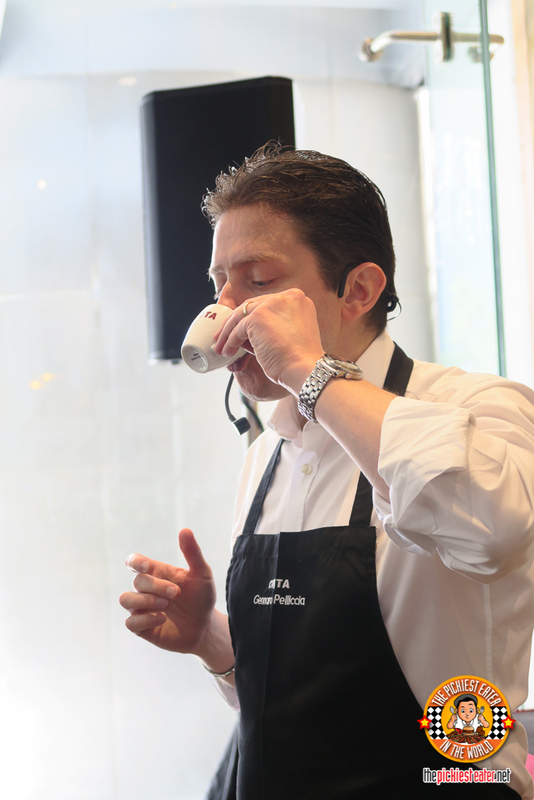 Master Gennaro Pellicca is the official Costa Coffee taster who is so good as his job that last 2009, his tongue was insured for a whopping GBP 10 Million. Incredible! 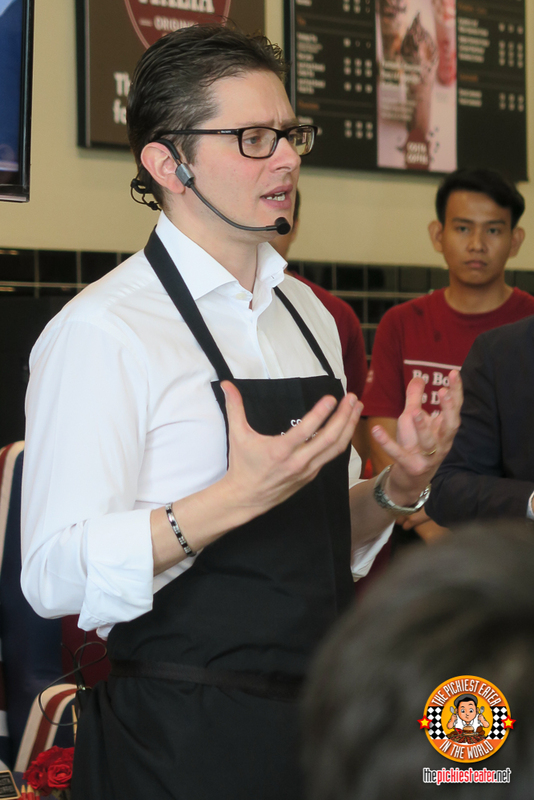 That's why it's a privilege for the Philippines to have Mr. Gennaro himself visit us to conduct an exclusive Costa Coffee Masterclass! And so it was really a privilege for me and my wife to be invited to this session! We watched him as he did his expertise in tasting coffee. 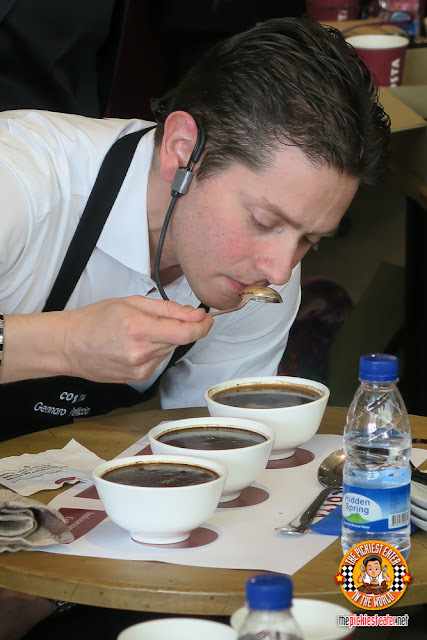 If you're a serious coffee enthusiast than you would really envy his job. He showed the class steps in how to pick good coffee from bad coffee. 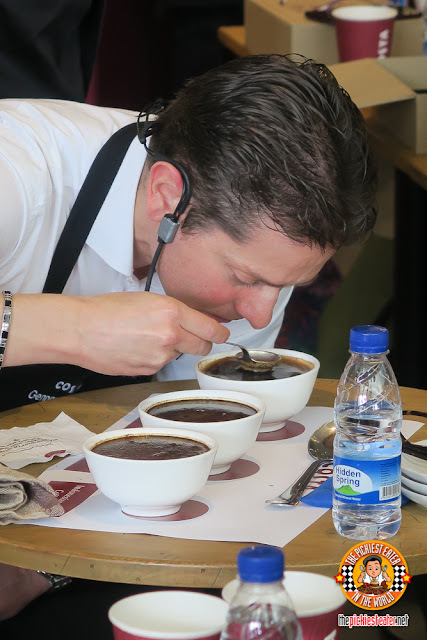 I never knew tasting coffee goes beyond smelling and tasting. It's really more tedious as one may think. I guess in a way it's like wine tasting, only a bit harder. These are the 3 coffee origins that the class worked with. Columbian, Indonesian, and Gennaro's favorite, the Kenyan. We sniffed the grounds as deep as we can to see if we can see the difference with the smell. The Columbian had a pleasant chocolatey fruity scent. 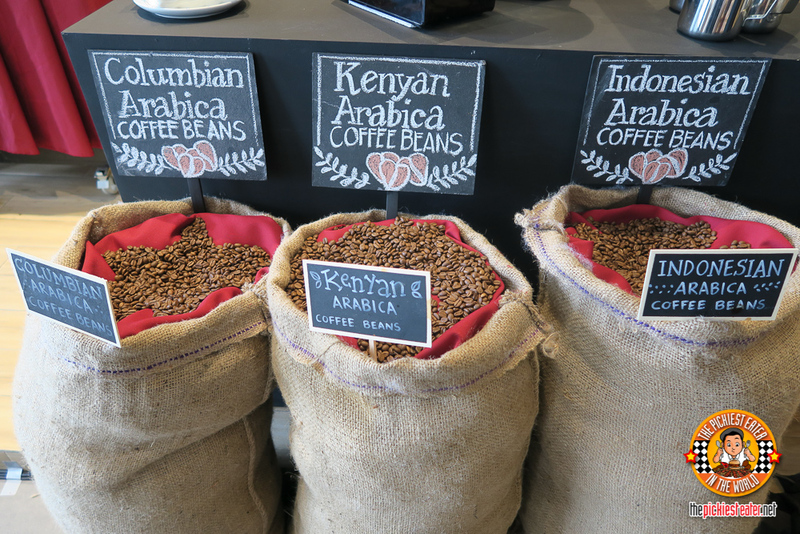 Kenyan was more citrusy, and then the Indonesian was more smokey and woody. Next was smelling with a wet aroma. The coffee grounds were submerged in hot water. Doing this amplifies the smell. Next was the skimming. The goal is to clear the very top part of anything floating. With 2 big round spoons, Gennaro showed us how to skillfully remove the floating granules without disturbing the water too much. Gennaro did it so slowly and carefully so as not to create any water turbulence. 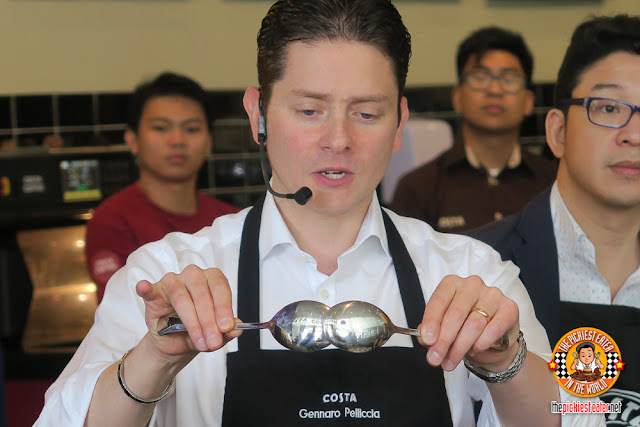 You have to be careful in doing this so that the coffee granules on the bottom will not float back up. You have to be as "ninja" as you can. Sorry this is the only word I can explain it. He makes it look so easy but it's really hard! I guess also because our spoons were smaller then the bowls were a bit big. So it was hard to trap the floating granules. 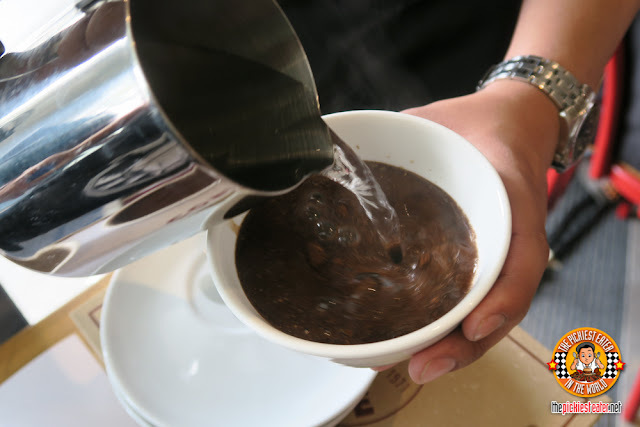 And then smell the back of the spoon to get a whiff of the coffee's aroma. I've never seen a guy this in love with coffee! Next, slurping. When Gennaro says slurp, he means SLUUURRRP! It was really more of a very strong sucking. It's supposedly the best way to introduce the liquid coffee in your mouth. 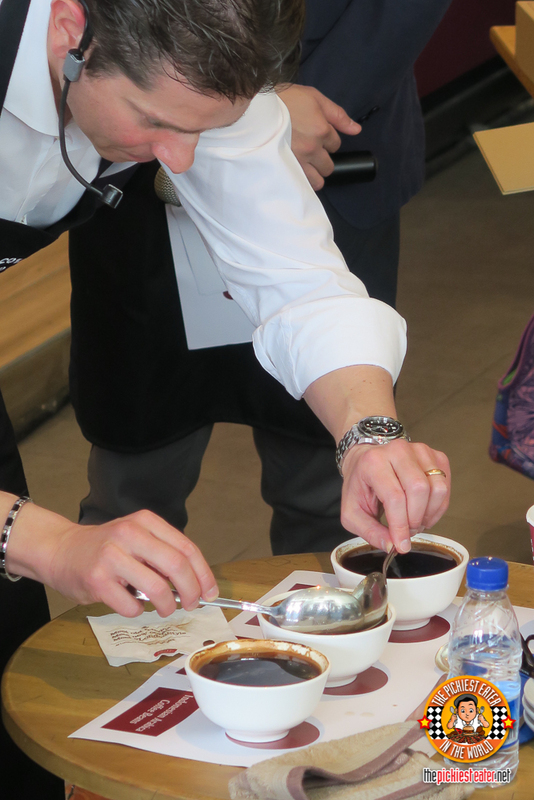 Being in Gennaro's Masterclass was really eye-opening on how serious coffee appreciation is. It opened up a whole new perspective for me when it comes to coffee. It's amazing that we got to be part of this class, especially considering we were joined by some of our favorite blogging legends, Leslie and Jin (Rare Occurence)! 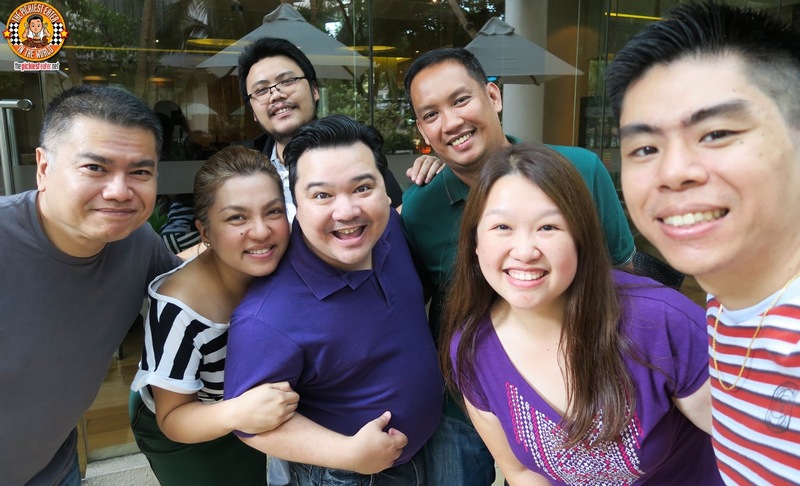 Thank you Gennaro for spending time here in the Philippines! Since it opened three years ago, Village Tavern has been one of my go-to restaurants for awesome food. 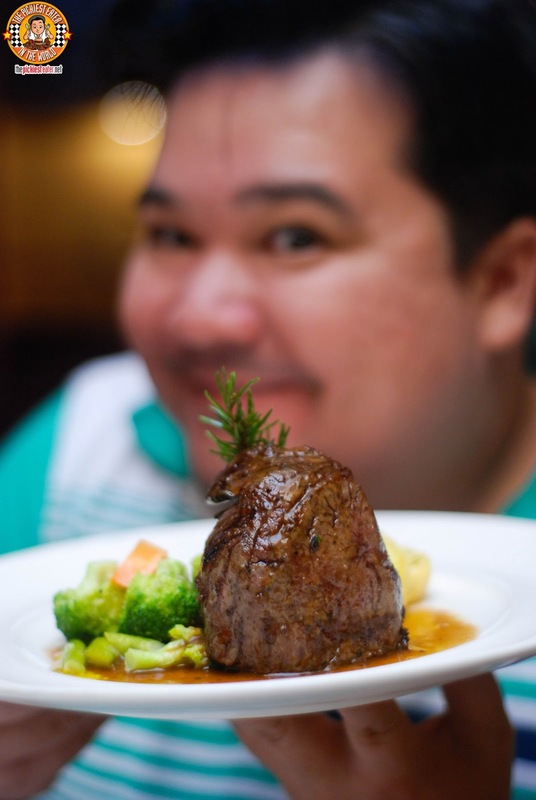 Whether it be a burger or a steak, I'm always assured that I'm in for an impeccable meal. I've always found The Bistro Group's Executive Chef Josh Boutwood one of the most brilliant culinary minds in the country today, so I'm always excited when he whips up new dishes. 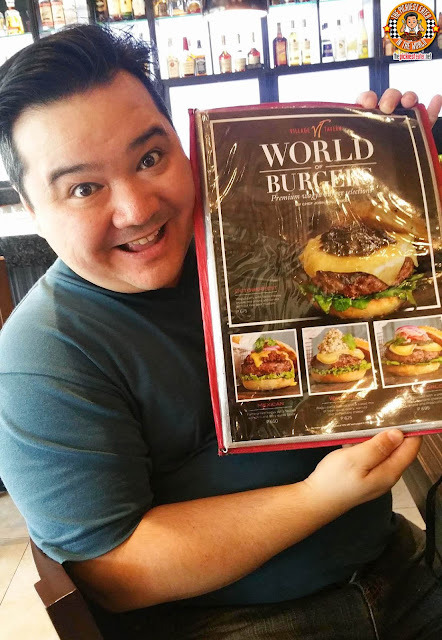 So as expected, I nearly creamed my shorts when I found out he came out with some new gastronomic creations for the "World Of Burgers" line of Village Tavern! This was indeed A Whole New World of Burgers That Would Make Aladdin Proud (and fat). HEAT RISES: EDSA SHANGRI-LA'S FINEST CHEFS ASSEMBLE! Always good vibes going around with this crazy bunch! Nine dishes from different parts of the globe, all masterfully executed by some of the most skilled Chefs from around the world. All this, converging in a hotel whose reputation is the gold standard in hospitality. When you get an invitation like this, there is no way you could say no to that. 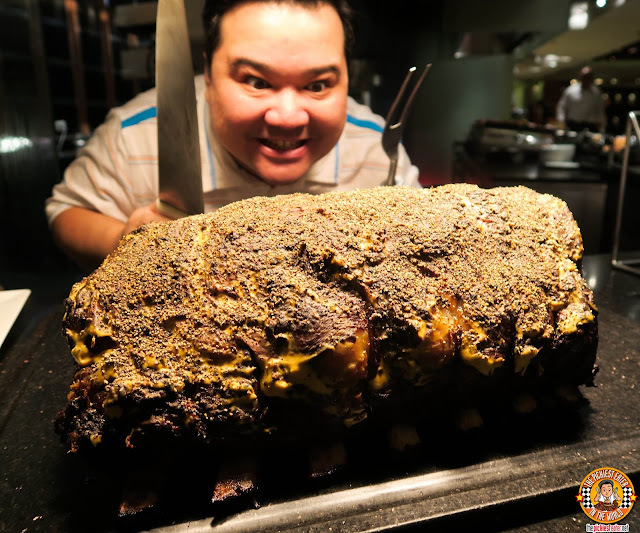 So as soon as I was told that Heat at Edsa Shangri-la had revamped their buffet with 9 signature dishes from 8 of their foreign cuisine Chefs, I rounded up my closest friends at the KTG for a meal of a lifetime! My appreciation for Italian cuisine has grown over the course of my being a blogger. Being hyper acidic, I would normally associate tomato, my number one enemy, with Italian Food. Think about it. The most recognized dishes from Italy - Pizza, Spaghetti. Lasagna - the basic ingredient when traditionally done is tomato. However, I discovered that as I continued my relentless exploration of Italian Dishes, their cuisine is incredibly versatile. There are so many other entrees that aren't heavy handed with the tomato sauce, and they taste remarkable. Rina and I were invited to dine at Paparazzi one evening for a romantic dinner, and I was surprised to find that in our entire five course meal, there was only one dish that utilized tomato in it. With Italian Chef Marco Ghezzi at the helm, it's no wonder that Paparazzi is perhaps the closest to Italy as you can get here in the Philippines. 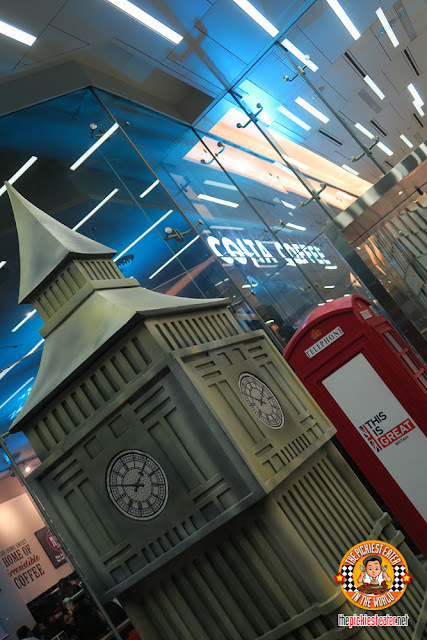 London has landed in Bonifacio Global City! 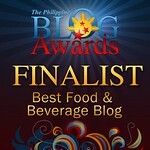 Yes, dear readers! 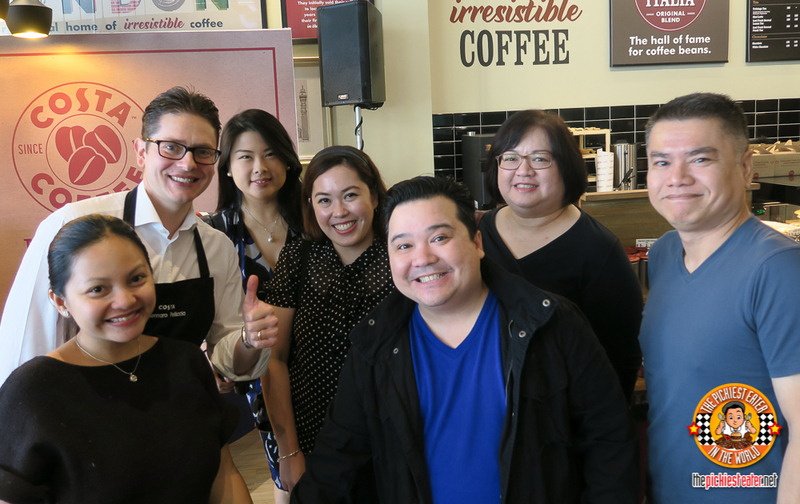 The number 1 coffee chain in London has opened its third branch just along the 32nd street of Bonifacio Global City! It's Costa Coffee!!! Located at the ground floor of One World Plaza. The people working in BGC will really be thrilled to have London style coffee so close to them now.